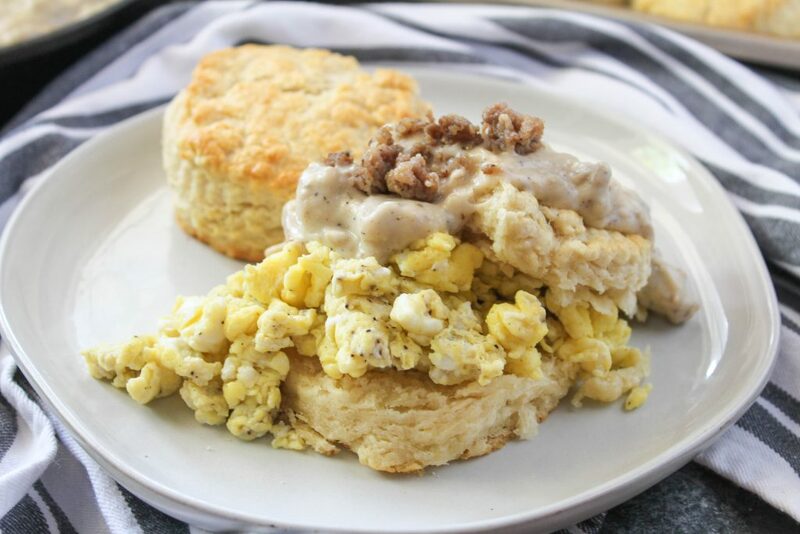 Buttery, fluffy goodness is the staple for these Buttermillk Biscuits and Gravy. 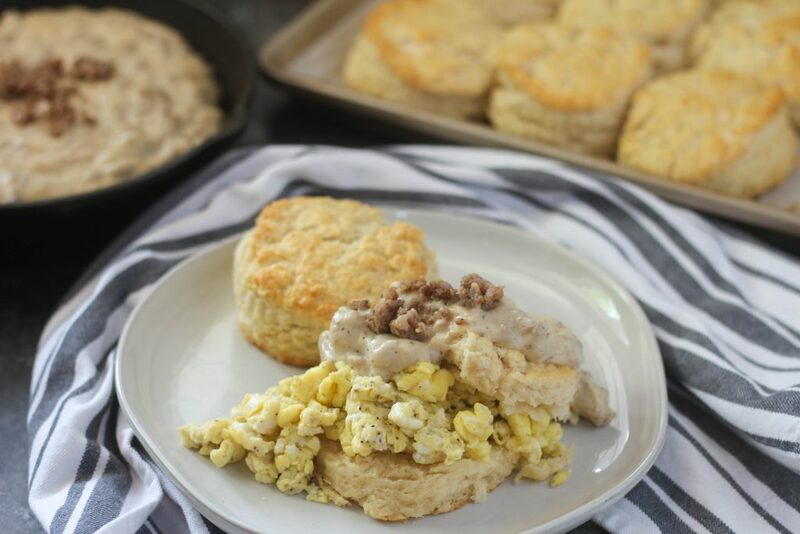 These are JoJo’s Biscuits from Magnolia Table and a hearty gravy everyone should know how to make. We’re going to get to this Buttermilk Biscuits and Gravy recipe but first we need to talk about my favorite book of the year so far. At the beginning of the year I set a goal to read 50 books this year. I’ve always been an avid reader but last year I kind of slipped. I wanted to get back into reading a lot so I set this goal. Luckily a friend of mine started a book club and I have loved being a part of it. It’s rekindled my having a book in each hand (on my iphone, hardback, audible, and Kindle all at once). Kim in our club chose the book, The Great Alone, as a sort of backup when it was her turn to pick. I reserved it at the library and started listening to it on one of my road trips over the summer. This book sucked me in from the very beginning. In one word, it was riveting. This was my first Kristin Hannah book but it definitely won’t be my last. After reading this book, I now want to visit Alaska. The author painted such a vivid portrait of living on a homestead that I could actually picture everything. She also portrayed domestic violence in a real setting, and showed different versions of everlasting love. The last third of the book I sobbed almost the entire time. So much so that I almost pulled off the side of the road because I just needed to cry it out. I’m sure I will be a wreck once the movie version comes out. 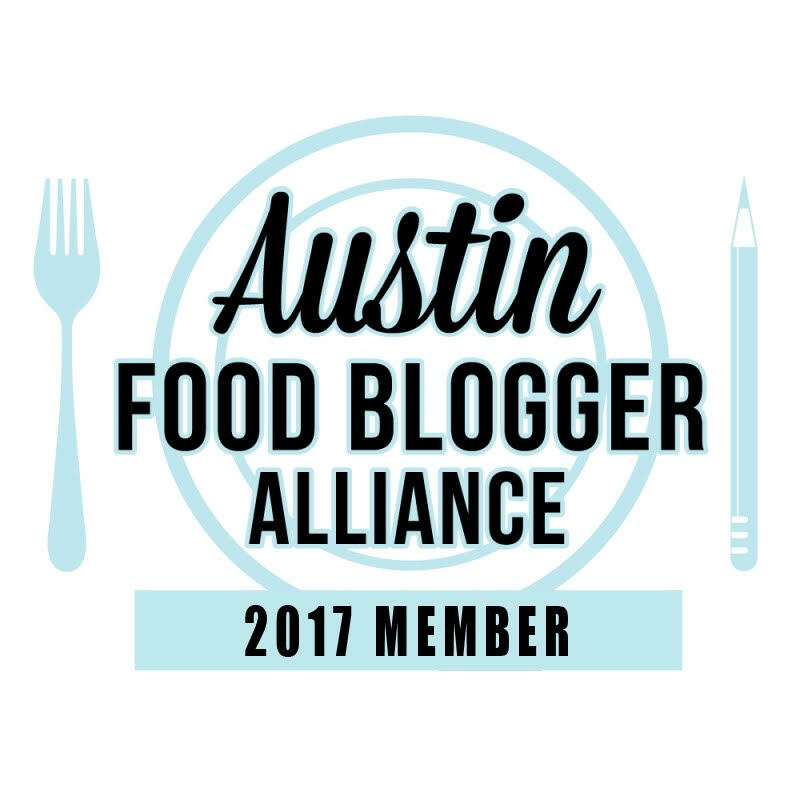 When I knew I wanted to write a #ReadingFoodie review of The Great Alone, I wondered what Ernt, Cora and Leni would eat in their little shack during the winter. Biscuits and Gravy for sure. But they’d have like squirrel or moose gravy instead of pork gravy. I’m happy to stick with pork gravy. The biscuits come from Joanna Gaines’s cookbook, Magnolia Table, which I absolutely love! I had the biscuits at the Magnolia Table restaurant and I wasn’t a fan. But the biscuits in the cookbook were solid biscuits. 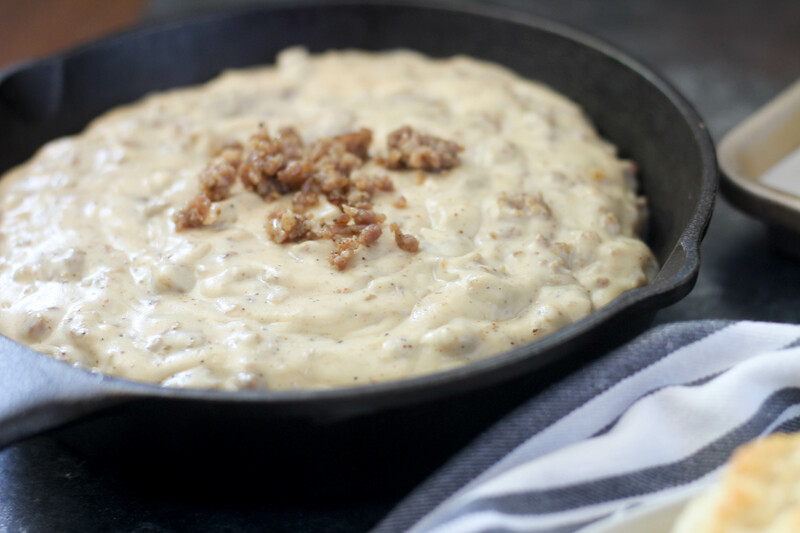 The pork gravy is a basic gravy with added pork sausage. So much yum on the plate. And if you haven’t tried her Lemon Bars that I previously shared, don’t miss out on those! 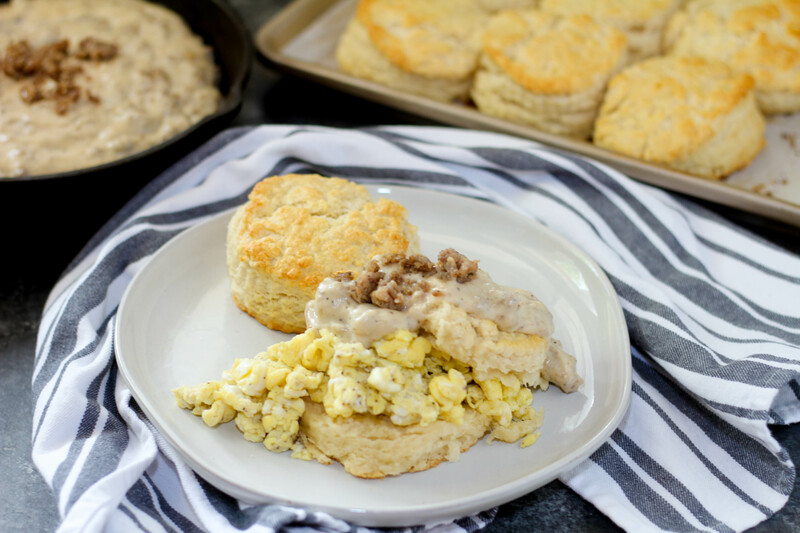 The biscuits and gravy even freeze well in case you are a single gal and want to save the remaining biscuits and gravy for another time. Just thin the frozen gravy with a little water or milk when you’re reheating it in a pan. In a large bowl, whisk together flour, baking powder, and baking soda. Add butter and using a pastry blender, cut in butter into flour until the pieces are even and about the size of peas. Add in the beaten eggs with a wooden spoon and stir until combined. Pour in 1½ cups buttermilk and mix until the dough comes together into a sticky mass. If it is too dry, add more buttermilk (1 tablespoon at a time), mixing after each addition, until it reaches the correct consistency. Cover the bowl and refrigerate for at least 30 minutes and up to overnight. Position a rack in the middle of the oven and preheat the oven to 400°F. Line a baking sheet with parchment paper. Scrape the dough onto a floured work surface. Use your floured hands to press it into a round roughly 14 inches across and about ½ inch thick. Use a floured 2¾- inch round biscuit cutter to cut out about 20 biscuits. If necessary, collect and pat out the scraps to cut more biscuits. Transfer the biscuits to the prepared baking sheet. They should all be touching. In a small dish, whisk together the remaining egg and 1 tablespoon buttermilk. Brush the mixture on the top of the biscuits. 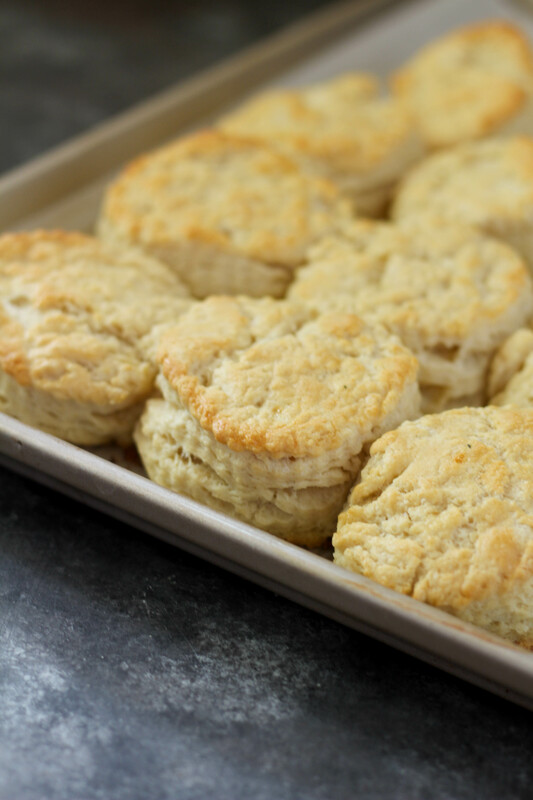 Place baking sheet in the oven and bake biscuits until golden brown, 15 to 20 minutes. Let cool slightly in the pan on a rack. In a large cast iron pan or sauté pan, add pork sausage. Cook over medium heat, breaking sausage apart, until browned. Sprinkle flour over cooked sausage and cook until you cannot see the white from the flour any longer. Slowly pour in milk in thirds. Stir together until sausage thickens. Season with salt and pepper. Note: Sausage will thicken as it sits. Serve with eggs or jam. JoJo’s Biscuit recipe from Magnolia Table Cookbook. ** Amazon affiliate links are included for the books. This means if you click and buy the book, then Amazon pays me a teeny tiny commission – it helps pay for hosting this site so thanks!